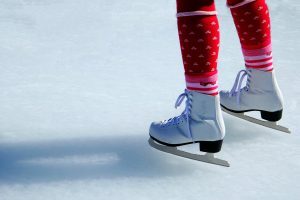 In Sandestin, you’ll find Baytowne on Ice. 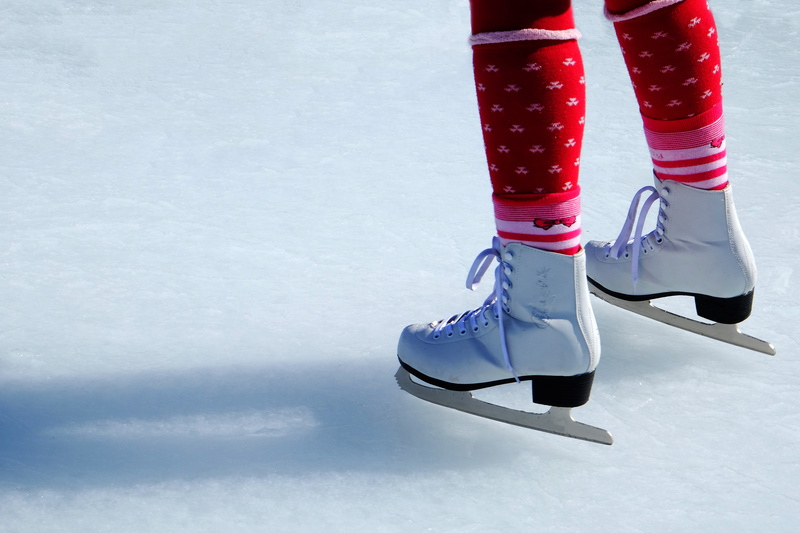 Skate for an hour and a half, with ice skate rentals included, for $14. There are season passes to be purchased at the Baytowne Wharf Neighborhood Association Office during business hours or go to BaytowneWharf.com. 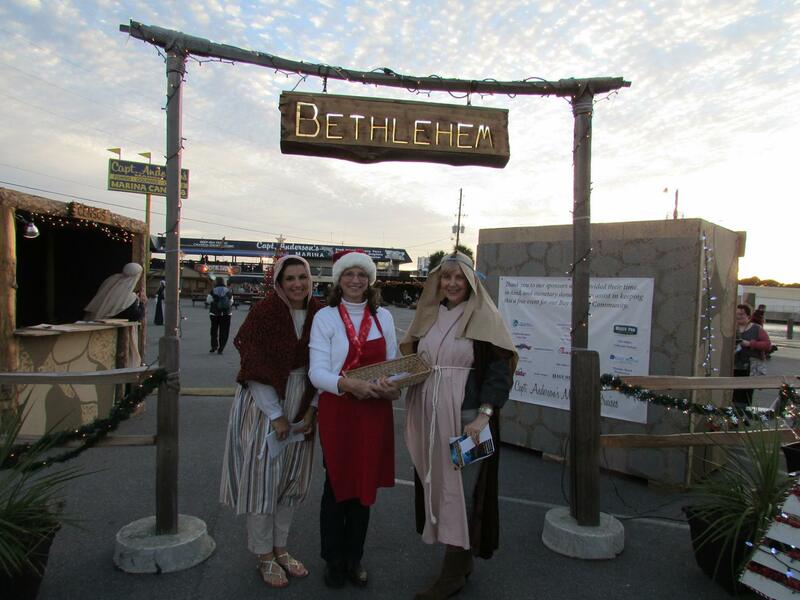 In Panama City Beach, Bethlehem Christmas Village is being held December 13- 16 at Captain Anderson’s Marina from 5:30- 8:30 p.m. Here, you can walk through ancient Bethlehem and enjoy the true meaning of Christmas. There will be live music and live Nativity and animals. In Miramar Beach, Emerald Coast Theatre Company presents A Wrinkle in Time through December 23. Performances are from 7:30- 9:00 p.m. at ECTC’s space located upstairs at 560 Grand Boulevard. Details and tickets at EmeraldCoastTheatre.org or by calling (850) 684-0323. You will not want to miss Sinfonia’s A Rockin’ Holiday with Mary Wilson of the Supremes. This event takes place on December 15 at 7:30 p.m. at the Destiny Worship Center in Miramar Beach. Sinfonia’s full orchestra shares the stage with Ms. Wilson and her incredible band for a magical holiday concert. Tickets and details at sinfoniagulfcoast.org. Holiday Victorian Tea at the Heritage Museum of Northwest Florida is being served December 16 at 2:00 p.m. Experience a delightful program about Victorian tea etiquette, costumes and holiday traditions while enjoying a variety of teas and refreshments. The museum is located at 115 Westview Ave., Valparaiso, FL. Call 850-678-2615 for reservations. A Coastal White Christmas at Grand Boulevard in Miramar Beach will take place from 5:00 – 8:00 p.m. at the Town Center every Friday and Saturday night in December. You can enjoy a free, horse-drawn carriage ride around the Town Center while faux snow falls on the Festival of Trees display in Grand Park. To add to the festivities, Emerald Coast Theatre Company’s Dickensian Carolers will sing popular holiday carols. 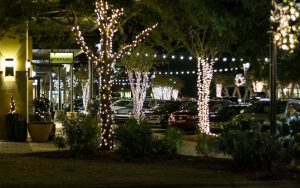 12 Nights of Lights at Baytowne Wharf means a festive light show in The Village of Baytowne Wharf in Sandestin Golf and Beach Resort every Wednesday, Friday, and Saturday until Christmas. There are three dazzling shows on the Village tree at 6:00 p.m., 7:00 p.m. and 8:00 p.m.
Seaside REP Theatre presents Every Christmas Story Ever Told (and then some!) until December 29 at 7:30 pm at the Seaside Meeting Hall Theatre. (No performances on Mondays.) Tickets are $25 and can be purchased online at LoveTheREP.com or at the door. 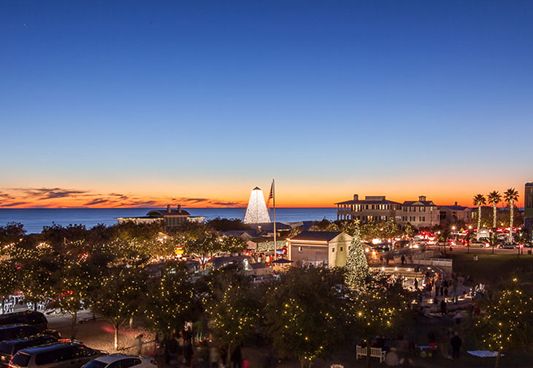 The Winter Solstice Run at Rosemary Beach is scheduled for December 16 from 6:00 a.m. to 6:00 p.m. For four consecutive years, this event has been hosted by Amavida Coffee Roasters in Rosemary Beach, Florida. It’s a great fundraiser for On The Ground’s gender equality initiatives and to raise awareness about the issues coffee farming families face in the Democratic Republic of the Congo. Sign up here. 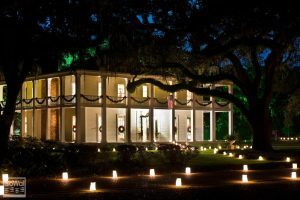 Christmas Candlelight Tour and Open House at Eden Gardens State Park is open December 16 from 5:00 pm to 8:00 p.m. 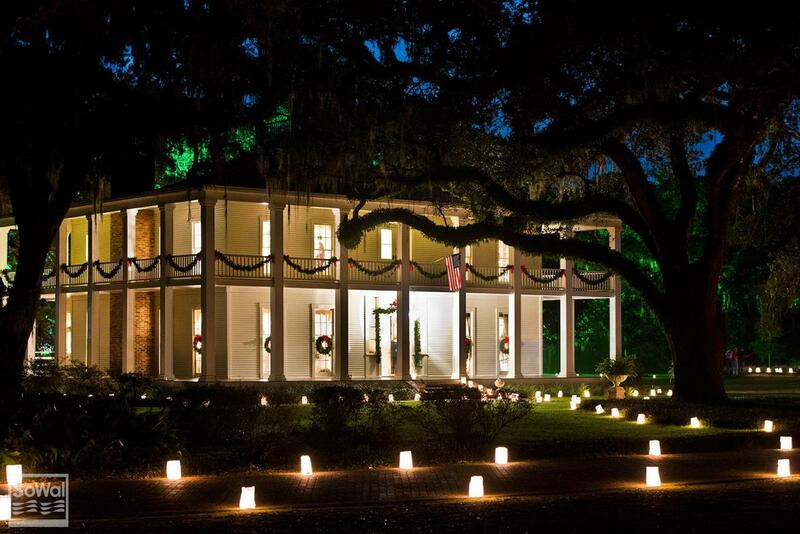 Enjoy the traditional walk through the luminaries to the Historic Wesley House and beautifully decorated rooms. After the tour is complete, the Friends of Eden will provide refreshments in the pavilion. The Holiday Pops Concert at Seaside Amphitheater is December 16 beginning at 5:30 p.m. at the Seaside Amphitheater. This musical delight is presented by Pensacola Symphony Orchestra. Bring your blanket, snacks and drinks and sit out under the stars. Bands of 30A Benefit Concert at Seaside Amphitheater is December 17 from 12:00 to 5:00 p.m. at Seaside Amphitheater. The “Bands of 30A” concert brings talented musicians from this area together to raise funds and awareness for charities who need community support. This event will be benefit Food For Thought Outreach Inc., an organization fighting child hunger in Walton & Okaloosa Counties. RUN/SUP Holiday Race Series starts at The BoatHouse Paddle Club in WaterColor on December 30 at 8:00 a.m The RUN/SUP race is comprised of a one mile trail run and a one mile stand up paddle board (SUP) competition. The participants will transition from a trail run to a stand up paddle board onto Western Lake. Western Lake is a coastal dune lake known for flat water paddling conditions. Online registration is open at runsup.com. Salute 2017 is one of many options to let you ring in the New Year. This event is held at Fonville Press in Alys Beach from 11:00 a.m. to 2:00 p.m. on New Year’s Eve day. There will be lite fare, cocktails, and live music by Chris Alvarado. New Year’s Eve Beach Ball Drop at Pier Park in Panama City Beach is another option for merry making on December 31. Starting at 5:30 p.m., there will be family-friendly activities, including a beach ball drop at 8:00 p.m., and a New Year’s countdown at midnight. 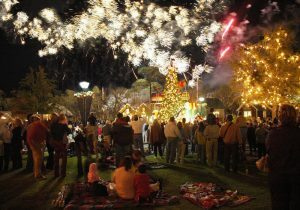 Fireworks at the Harbor at AJ’s in Destin will be held on December 31 starting at 8:00 p.m. and lasting until 11:55p.m. Fireworks will be presented at 8:00 p.m. and midnight. Countdown Baytowne on December 31 begins at 6:00 p.m. in The Village of Baytowne Wharf in Sandestin and will last until after midnight! 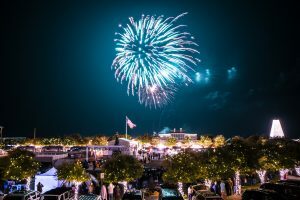 Enjoy live bands in the Events Plaza and fireworks at midnight. Admission is free and open to the public. First Day Hike at Topsail Hill Preserve State Park will be January 1, 2018 with a 4 mile hike from 9:00 a.m. to 11:30 a.m. or a 1.5 mile hike from 2:00 p.m. to 3:30 p.m. Enjoy the first day of the New Year leisurely exploring the park with a Ranger to learn about the park and its wildlife. Just after the holiday celebrations, you can settle into 2018 at the 9th annual 30A Songwriters Festival set for January 12-15, 2018. The festival, held in venues along scenic Highway 30A in South Walton will have an amazing line up. The 30A Songwriters Festival transforms amphitheaters, town halls, restaurants, theaters, bars and covered patios into unique music venues ranging in capacity from 75 to 500 seats indoors and 5,000 outdoors. A variety of festival weekend passes are now available starting at $280 and can be purchased at 30asongwritersfestival.com, and locally at the Cultural Arts Alliance office in Santa Rosa Beach, the Foster Gallery in Grand Boulevard and at Central Square Records in Seaside. 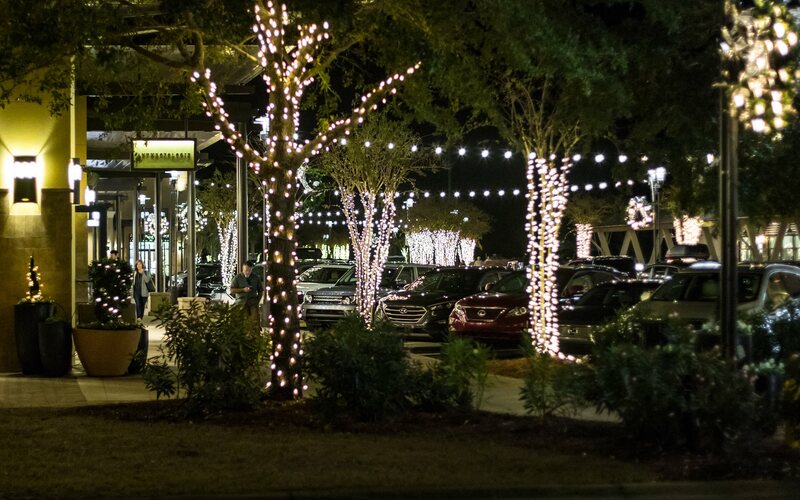 Whether you’re as jolly as old Kris Kringle, or just want to dip your toes in the holiday season, the Emerald Coast is gleaming with events to keep your calendar full all month long and into the new year.